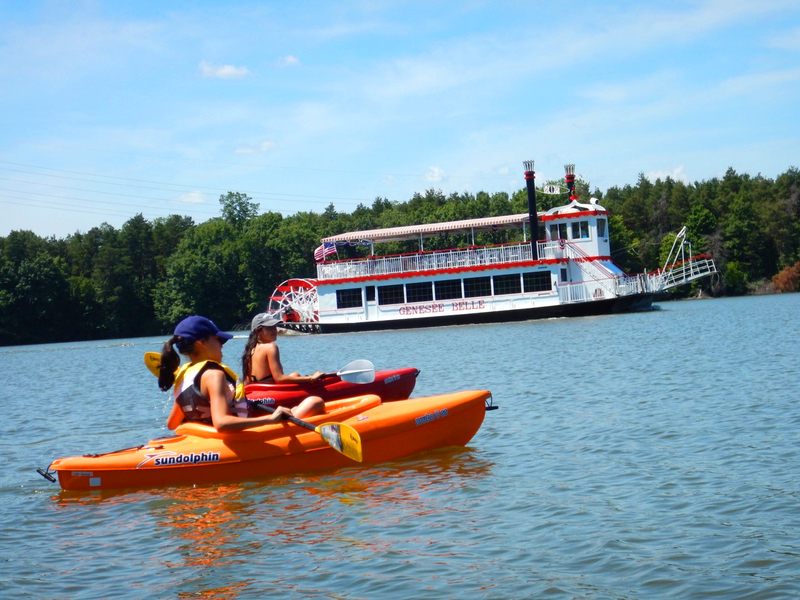 Wolverine Campground the perfect mix of natural splendor, convenience and family-friendly fun. Nestled on the north shore of the Holloway Reservoir, your days can include swimming, boating, canoeing and kayaking, plus on-shore games such as volley ball and horseshoes, hiking and biking, nature walks, crafts and playground fun. 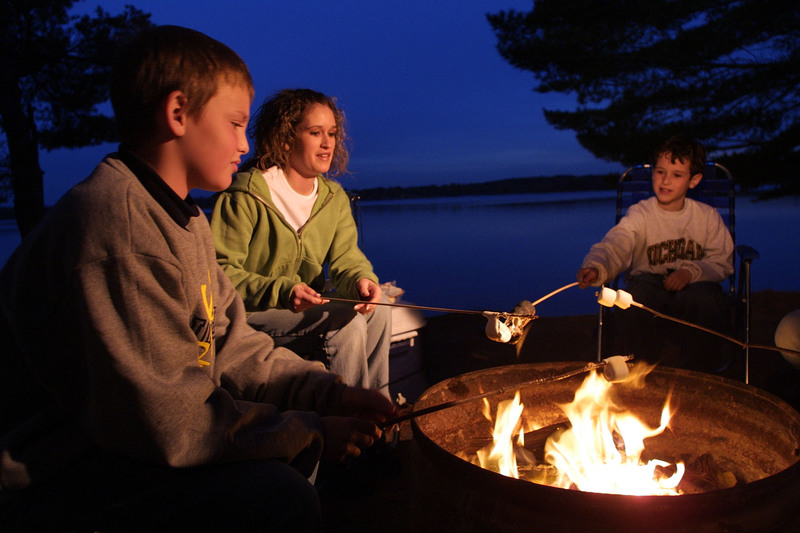 In the evening shadows, when you gather your family around the campfire, toast marshmallows and make s’mores, you’ll feel the stresses of work and chores slipping away. There’s a good kind of tired that comes from spending your day in the fresh air, and after you sleep deeply, you’ll awaken refreshed and ready to play again. Several amenities are available at Wolverine including electricity, bathrooms and showers. The campground is laid out with areas for tents and for a range of camper sizes from small teardrops to self-contained deluxe models. And while you’ll feel like you’re a long way from the noise and busyness of city life, it’s an easy drive back to town if you forget something. If your idea of family camping is to saddle your horse and head for the trail, you’ll love the Elba Equestrian Complex and the Everett A. Cummings Event Center, two of the finest equestrian facilities in Southeast Michigan and only minutes from anywhere in Genesee County. Camping at these two facilities is reserved for those camping with their horses or a special event. Elba offers 4,540 gorgeous acres in Lapeer, including a small lake, and you can explore it all on horseback. Its 25 camping spots are reserved for those camping with horses. Bring flashlights, as there is no electricity, but there are portable toilets and water on site. The E. A. Cummings Event Center in Mt. Morris regularly hosts local and statewide equestrian events including the Genesee County Fair. It is equipped with 100 group campsites, restrooms, plus arenas, horse stalls, and 690 acres for trail riding through woods and along the Flint River. Reservations are needed for all three campgrounds. Click on the name of each for more information, and click here to make reservations or call 810-736-7100, ext. 6. When you’re ready for the quiet of woods and water, and camping is top on your list, get away right away to your scenic, convenient and always fun campgrounds in your Genesee County Parks! Team Winter? Genesee County Parks Has Got You Covered.